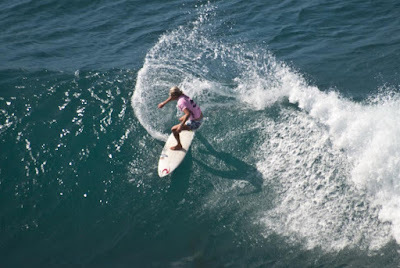 This years Billabong Maui Pro womans surf contest which is anually held at Honolua Bay Maui was won by Stephanie Gilmore of Austraila for the 3rd year in a row. She was able to score one perfect wave score today in her chase for her 3rd straight victory. This win was also her second consecutive ASP Triple Crown win. Nice job, way to ride.